Managing a team means shifting your mindset. Adding a team member won’t help you reach your goals unless you change the way you manage. Bold statement, I know. But it’s true. That independent, “can-do” spirit you’ve used to run your business as a solo-preneur is actually an obstacle when leading your team. Let’s explore a few essential mindset shifts you need to consider when you begin leading a team. As a solo-preneur, the path forward revolves around you. Sales, marketing, operations, finances, customer service – you are at the center of it all. No wonder you feel like you’re constantly spinning. Nothing happens unless you’re in motion, making things work through your own effort. When you have a team, the focus needs to shift. Rather than spinning faster and faster on your own, you need to become the power source that drives multiple “wheels” in your business. You don’t have to handle customer service, for example. The new customer service support person you hired can (and should) do that by following systems you’ve created. You provide the energy (system + vision) while he provides the motion (following the system to serve the customer). Without this crucial shift, you actually get in the way of forward progress. When you step in and either do the work yourself, second guess your team member’s decisions, or micromanage, you create an obstacle that keeps everyone stuck. Sure, things might move eventually, but it’s a bumpy ride. Perhaps you decided to start building a team precisely because you wanted to step out of the day-to-day and start being strategic but you’re finding it difficult to make the shift. Why? Because you still find yourself managing every crisis and switching things up in response to the circumstances of the day. Your leadership style is reactionary – and you can’t seem to break out of it. What does this mean for your team? Despite your best intentions, you’ve created a culture without a vision or a plan. No matter what you’ve said or promised or written in an employee manual, your actions teach your team to forget the plan and look to you for direction at every turn. Unfortunately, that’s just not strategic. But when you hire that first team member, things change. Now the expertise and vision inside your head needs to be shared with another person. You need to give direction, inspire, and motivate. This is challenging enough with one team member, but what happens when you add another? Things get even more complicated. Managing a team means changing your communication mindset. You need to develop the ability to communicate clear, consistent expectations and instructions to more than one person. It means intentionally keeping everyone in the loop, and putting controls in place to make sure the entire team is informed and engaged. Before you can effectively lead your team, you must become the leader your team needs. You must step into the leadership role. 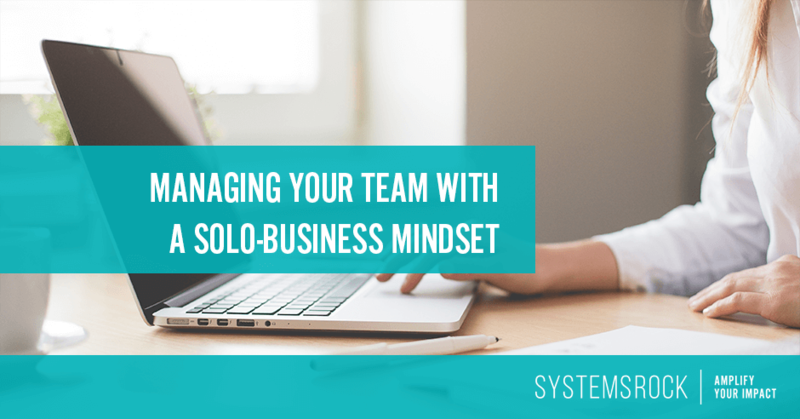 Your team needs you to shift your mindset – stepping away from the control and hands-on approach of a solopreneur – and assume a leadership role. 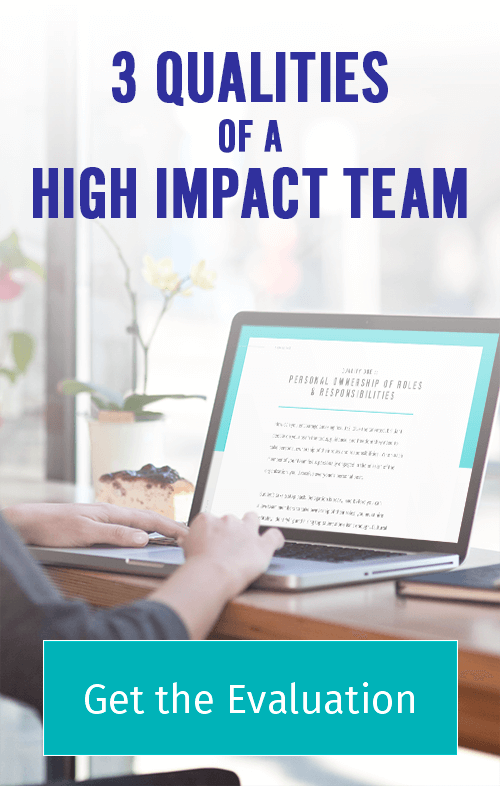 When you take this step, you will empower your team and inspire everyone to do their very best work.